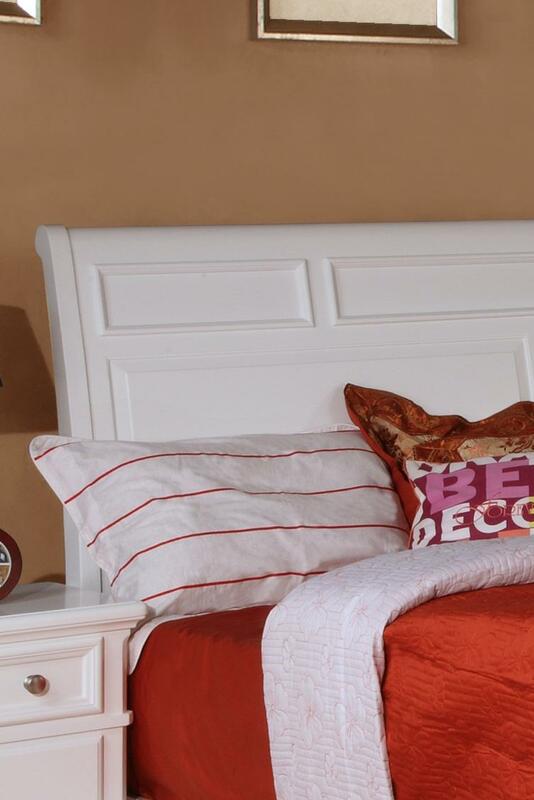 This versatile bedroom collection can easily be used in a guest room, casual master bedroom, or teenager's room with its simple, casual design. 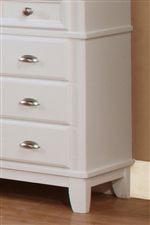 The fresh white finish, subtle paneled details, and tapered feet create a clean look perfect for the modern bedrooms of today. Offering plenty of storage pieces with silver-finished cup pulls and round knobs, and a large low-profile sleigh bed, this bedroom collection will bring comfortable, organized style to any room.